Russian Roulette Clothing’s newest shirt is available just in time for Halloween. The Com Bloc Nightmare shirt features everyone’s favorite trio of horror film protagonists wielding, you guessed it, com bloc rifles. 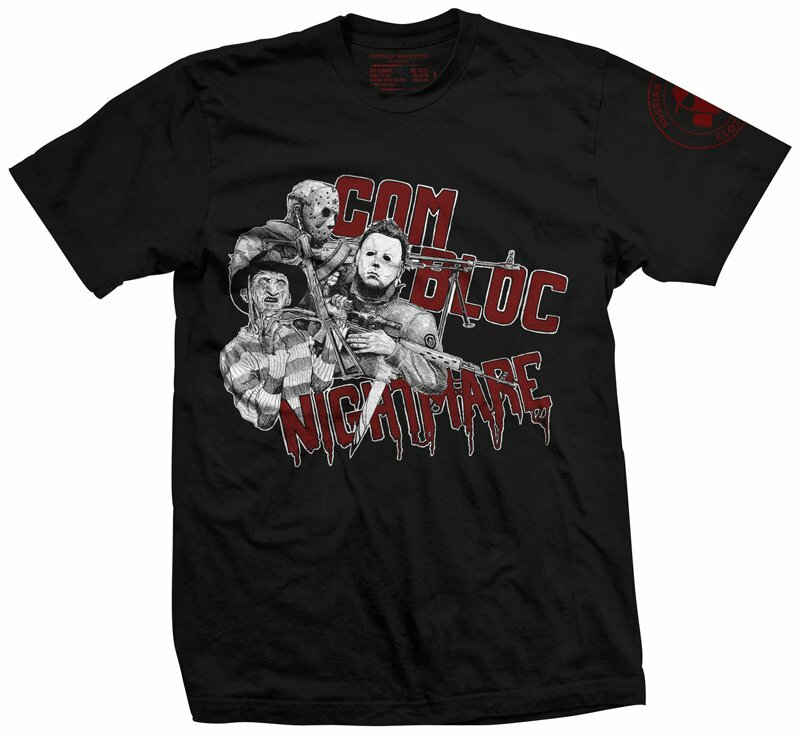 Jason Vorhees, Freddy Krueger, Michael Myers, a PKM, a Dragunov, and a Krinkov all on the same shirt… No self-respecting gun guy would be caught dead in any other shirt on October 31!